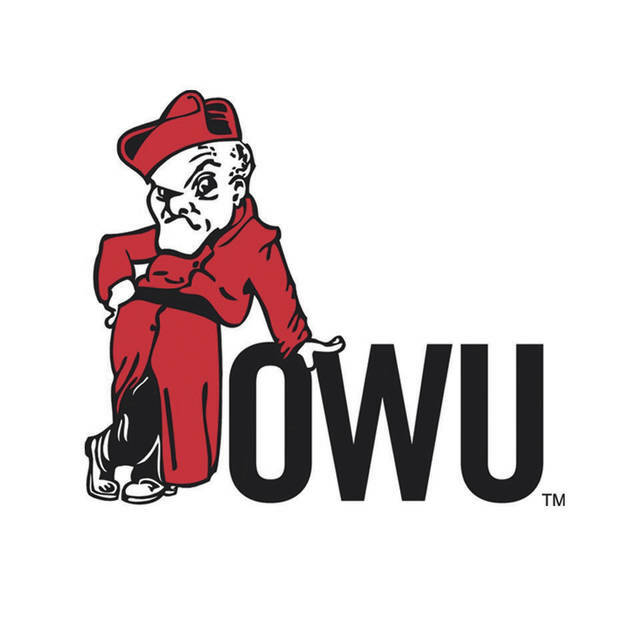 DELAWARE – The Ohio Wesleyan baseball team spent the first half of the game working its way back from a 3-run deficit, only to have its defense falter. John Carroll plated two runs in the sixth and used a 3-run eighth to pull away with an 11-6 win in eight innings over the host Battling Bishops in non-conference play Wednesday evening at Littick Field. Austin Harper had 2 hits, a pair of walks and a run; Davis Graham added a couple of hits and a pair of runs and Eric Edman scored three times to lead the Bishops (5-5) on offense. OWU scored a run in each of its first four innings before plating a pair of runs in the fifth to overcome deficits of 3-0 and 6-3. “It wasn’t the start that we wanted … but I thought we battled back,” Mott said. “I thought we had chances to tie or take the lead early. Edman and Eric Pulliam worked back-to-back walks with two outs to load the bases in the fifth. C.J. Colson was hit by a pitch to drive in a run and Austin Harper worked a walk to tie the game 6-6. JCU plated three runs in the first and used a 2-run homer by Aaron Zawadzki in the fourth to regain its 3-run advantage. The Blue Streaks took the lead again in the sixth thanks to a pair of errors at second. Sam Heaton reached on an error, stole second and ended up scoring on another error at second to give JCU a 7-6 lead with one out. Justin Hanley drove in the second run with a walk after a hit and a walk loaded the bases. The Blue Streaks added three runs in the eighth, highlighted by a David Ferguson triple and Derek Penman double back-to-back. Duncan Cappar (1-1) entered the game to get the final out in the fifth and set the side down in order in back-to-back innings before closing it out in the eighth before darkness set in. He struck out four over the final 3.1 innings to get the win. Linden Hoover (0-1) allowed 2 unearned runs on a hit and a couple of walks and took the loss in relief for the Bishops. Patrick Keohane had 3 hits, Heaton scored 3 runs and Zawadzki drove in 3 runs to lead the Blue Streaks (11-4) in the win. Next up, OWU visits Manchester for a doubleheader Saturday afternoon. The non-conference matchup is slated to start at 1 p.m.